What Uses Batteries & Vibrates? 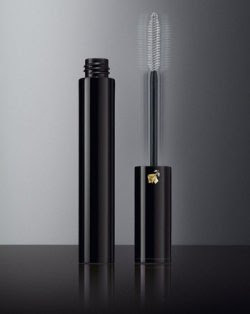 Estée Lauder will launch TurboLash All Effects Motion Mascara on July 17th exclusively at Saks and will retail for $30. The gel formula composed of jellied water, olive oil and paraffin waxes vibrates at 125 micropulses per second. Their philosophy is that there IS “a relationship between vibration, length, volume, separation and curl.” Funny, I dont remember this in Physics class, but I will be sure to inquire on the 17th! Soon following later this year, no specific date and price announced, will be Lancôme's Ôscillation. 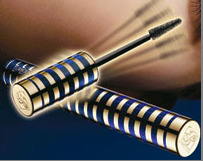 The polymer-based mascara will move at 7,000 micropulses per minute, providing 360-degree coat of mascara on each lash. It was created to emulate the zigzag movement makeup artists use to apply mascara. The result: “organized” and evenly coated lashes. Um, am I the only one who thinks this may be a little dangerous? Brings new meaning to the phrase "Killer Lashes" huh! But being the junkie that I am, I will be the 1st to try it...Stay Tuned! Now you know I LUV my long lashes, so I will definitely wait for your feedback to try this. Yes, I will DEF wait for your feedback on this one. Cant wait to bat my eyes as they gaze at me..